Today we got right into it and started building the frame and wheels for our tractor! We've got to move some big barrels with this machine, so the parts of it have to be sized to match. After a quick design session, the frame team and the wheel teams broke off and got to work. With the initial dimensions of the tractor cab's frame figured out, Teia and Nelly wrote out a cut list so they could make the parts. Once the parts were made, fabrication of the frame began. In order to carry the weight of the machine itself and the barrels, the frame will need to be exceptionally strong. Junior collaborator Jack contributed some of his expertise and helped Minh make the corners of the frame rock solid. While the frame team built, the wheel team spent some extra time thinking about the design challenge of making wheels. 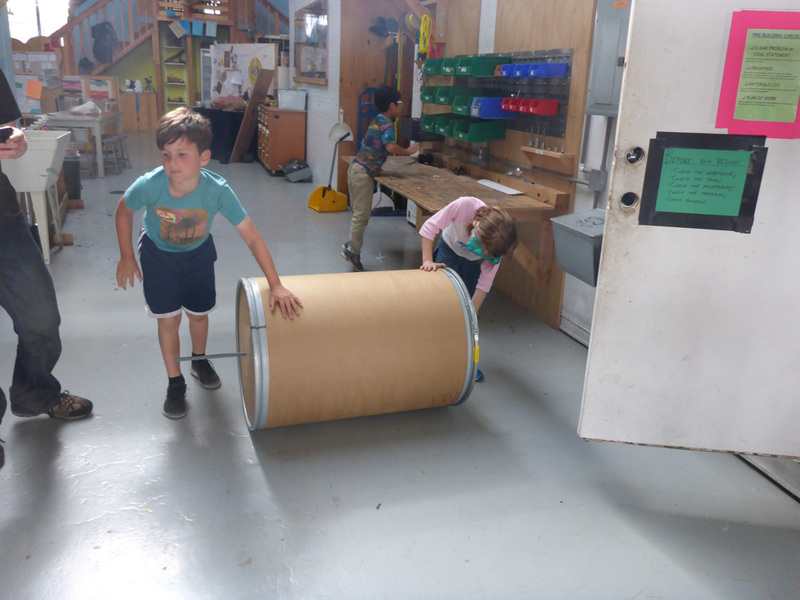 After a bit of thought we realized that the very barrels we wanted to move with the tractor could also serve as it's wheels! This means we'll have something of a tractor/steam roller hybrid, which should be sturdy and sounds awesome. 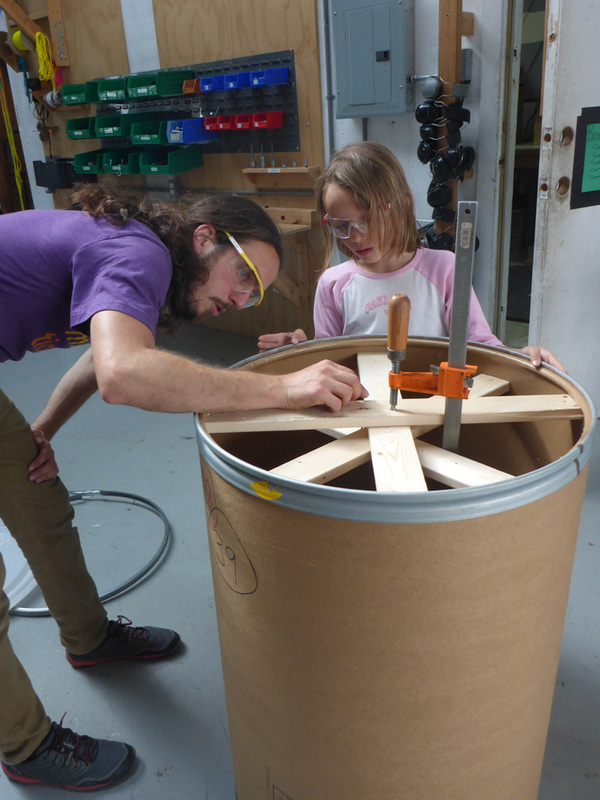 Our first wheel was pretty simple to make: we just stuck some all thread rod right through center of the lid and barrel bottom for a perfect axle. That was one wheel taken care of, but the next one proved to be a greater challenge. We couldn't find a second piece of thread rod that was long enough to go all the way through the barrel, so we finally decided to try using two small rods, one on each side of the barrel. This necessitated building spokes in the top of the barrel to support the short axle. We didn't finish the spokes yet, but the design looks like it will work, and we'll try to finish it next time!